There are times I wish I had learned from a master French polisher, as it is I read whatever I can get my hands on about French polish, and I often reference Ron Fernandez's wonderful video on French polish. 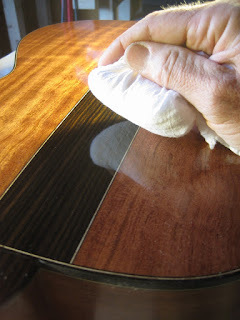 I know I need to French polish on a regular basis. I also know that there will be times I chuck some of the things I learn out the window. The beauty of French polish is that you can make it what you want and it will, in the end, work well for you. 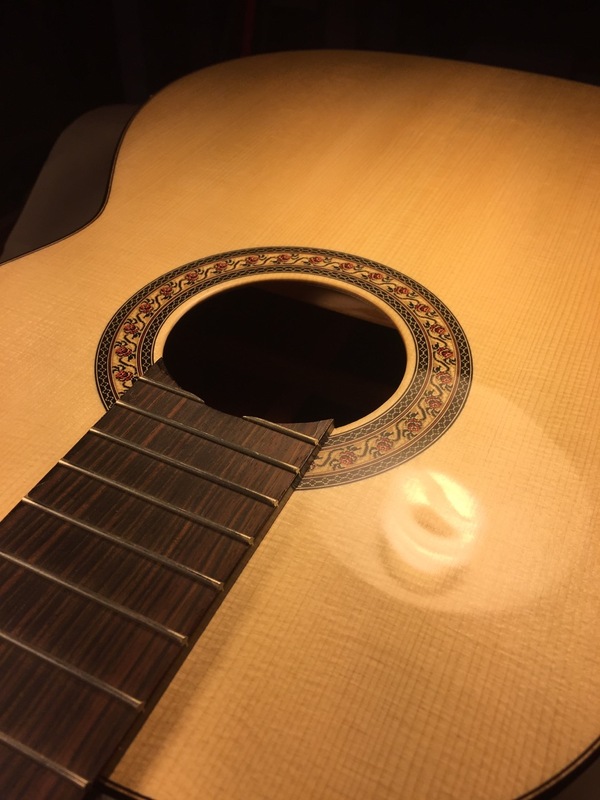 But you have to practice and practice well to reach that end. If you want something easy, then burnish soap into the wood's surface. 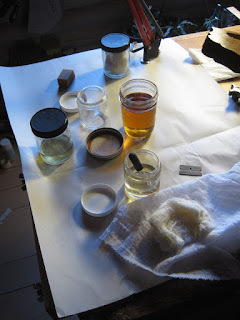 Some videos/books say to build up a thick finish by using a 1lb cut of shellac, I discovered that I can build up thicker layers of shellac faster by using a 2lb cut instead of a 1lb cut. 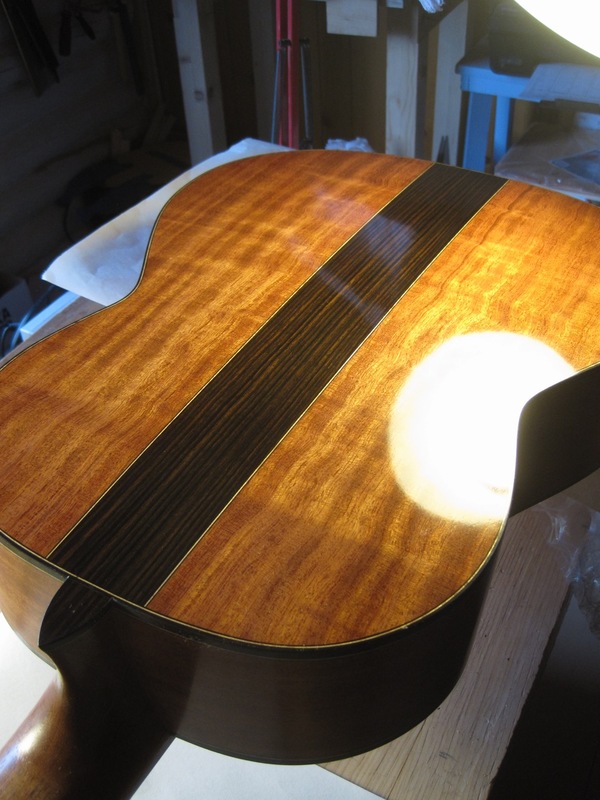 This photo shows the back of a guitar after three sessions, not bad! I do level sand, the best sandpaper that I have found for this task is MicroMesh. Don't settle so quickly for "something easy", using a lot of elbow grease can result in some spectacular results! Woodworking is a lifetime skill, you should always want to learn something new, to improve the skills that you have and strive for excellence.